Step 1: Go to Codeopen and signup for a new account. Step 2: Login to your codeopen account and click on New Pen on the top of the page. Step 3: Create your project or demo by inserting your Html/css/java codes and save your project. Step 4: Now click on share on the top of the page. 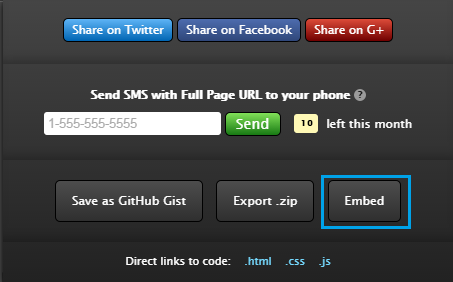 Step 5: Click on Embed. Step 6: Customize your demo box using the tools and grab the code of your iframe. Step 7: Now go to your post or layout to add your iframe. 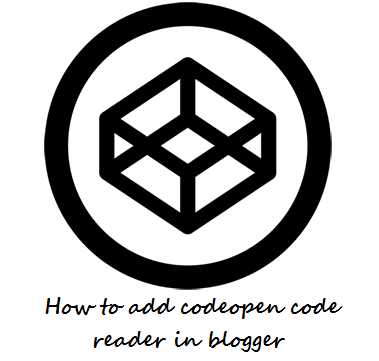 Step 8: Add the copied code in post or as a gadget and save it. That's it! hope you like this post and you found it interesting and helpful. Follow and subscribe for more blogger tricks. Keep visiting 101Helper and share this post with others. Search tags: Html/CSS/Java code reader for blogger, How to add code reader in blogger, Demo box for blogger, how to show demos in posts in blogger, code box for blogger, 101Helper tricks for blogger. See the Pen zxQvYQ by fahimraza (@fahimraza001) on CodePen.